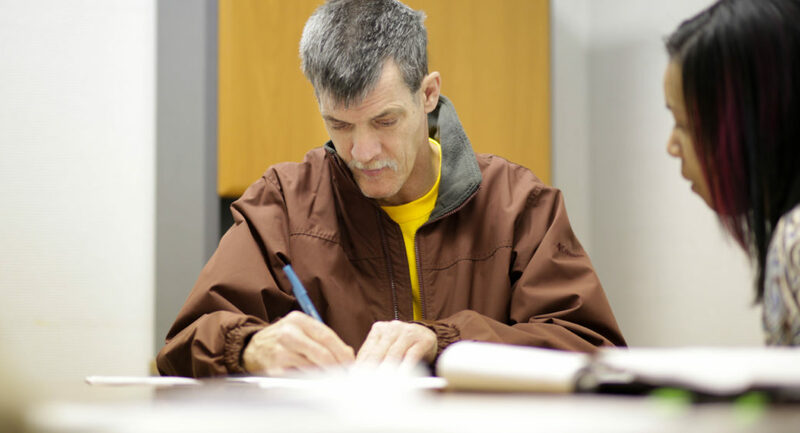 Over the past two years a coalition of disability organizations, parents and people with disabilities have worked simplify Ohio’s Medicaid waiver waiting list. As a result of this coalition’s work, more than 1,600 people Summit County who were on the waiting list prior to September 1, 2018 were placed on the Transitional Waiting List until their needs can be assessed. Summit DD is required to complete an assessment for everyone on the transitional waiting list, along with anyone newly eligible for services who feel they have unmet needs. You may opt-out of the assessment if you don’t believe you have unmet needs at this time. We have trained a team of SSA’s on the consistent use of this assessment tool and will keep families informed as we work through the list. See our infographic below on what to expect from this assessment. Download here. What Can I Expect If I am on the Transitional Wait List? If you currently have an SSA, your assessment will take place around the time of your annual team meeting. You will be sent a notice 90 days in advance. If your support staff is a Developmental Specialist, RSS, or you have no SSA assigned (you do not have an annual team meeting), we will schedule assessments beginning with the top of the list. You will be sent a notice 90 days in advance. Summit DD must complete all assessments by December 2020. 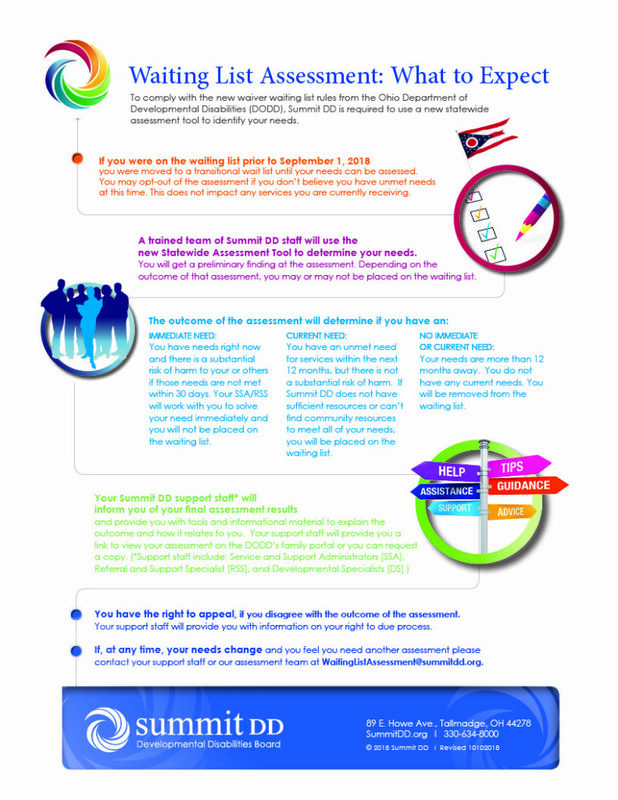 If you disagree with the results of the assessment, your Summit DD support staff will provide you with information on your right to due process. It is important to remember that your experience with your Service and Support Administrator (SSA), Referral and Support Specialist (RSS) or Early Intervention team will not change. If, at any time, a change in you or your family’s situation occurs and you believe you have unmet needs you should contact your support staff to talk about your needs to determine if an assessment should be completed. For more information on the waiting list rule or to see a copy of the assessment please visit the Fix the List website.